This shrubby, picturesque tree can grow to about twenty-five feet in height and width. It shows many characteristics of its larger relative, the Madrone, with shedding bark and urn-shaped blossoms. The name comes from the round, warty fruits borne a year after the flowers; in fact there fruits and flowers will be found on the tree at the same time. Give this evergreen good drainage and sun or partial shade. It is fairly drought tolerant when established. Because they have similar requirements and similar structure, Arbutus unedo is a good companion plant to the larger Madrone. It is borderline tender in Zone 6. 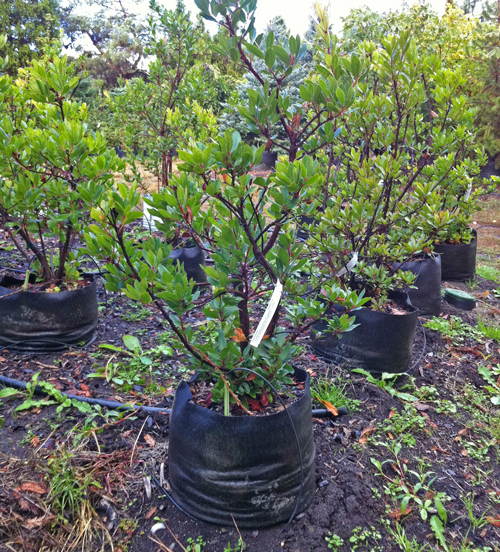 Categories: All Plants, Broadleaf Evergreens, Plants for pollinators, More..